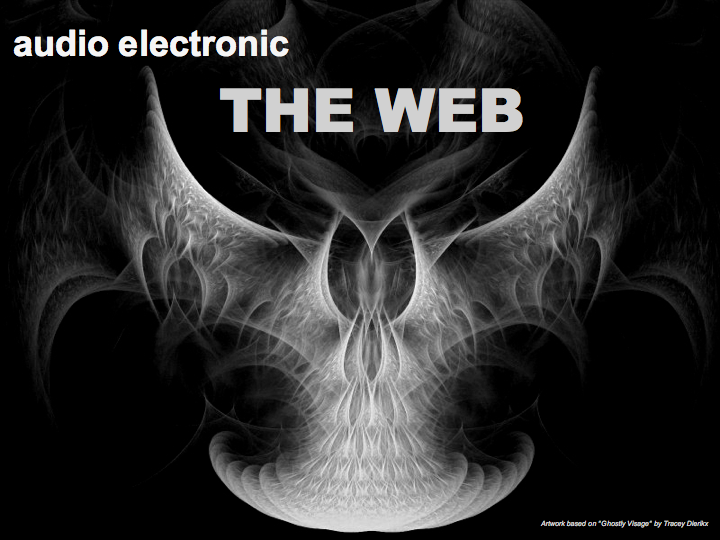 I had started this blogpage with the post on my NASA Remix of Magnetfisch's Raumstift. Next up, you could see in my Trains series that three of the tracks were actually reworks of Magnetfisch tracks. Timo, the co-founder of Magnetfisch who does the synths and programming, had given me the track layers of some of their old tunes to work with. As he was very pleased with my Raumstift-Remix and also the first Trains reworks in June/July 2011 (Magnetbahn, Grande Vitesse) he provided me with all the material of their new EP "The Chexbres Trilogy" that had been released at the same time (July 2011), in case i'd like to do some more reworks or remixes of tracks. Timo trusts me, as for one thing he respects my skillz with beats, sound and mood, and for the other thing we both share a love to the sound of the 80ies with Bands like Cure, Simple Minds, but also such as Killing Joke and, above all for me, Cranes - i never thought i get to know someone who knows and also loves Cranes :-) I had put the files aside as after the Trains series i concentrated on the 10284 Miles project with Cat aka CXXXVI. During this work i had the idea of doing remixes of the Chexbres Trilogy tracks together with Cat - i'd do a WEB-remix of the track and she adds her vocals, with lyrics that fit the already given title. I could imagine this combination would sound very good. However, it was not easy to suggest this to Timo, as they not long ago had split up with their singer because it didn't work out anymore and he was kind of fed up with vocals then, going back to the instrumental, like in the good old days. But hey we're pro so i talked to Cat and asked Timo if we could give it a try, if he doesn't like the result we'd stop it. After a short while he said yes, yes of course, because he liked the tracks that we did in our 10284 Miles project and... see above. I said to him OK, my plan is we remix the whole EP, all four tracks if that suits you. Deal! In February 2012 we started the remix project with "Le royaume de Chexbres" (French, = the kingdom of Chexbres). I liked the straight fast rhythm quite uprising part in the track, so i started the work for the remix with this part, and also used a stripped down version of it for the intro. I built the other parts from there then. In this as in all the other remixes i used all the track layers of the original, almost every single tone from the original is in the remix too, but with more or less effects on it. I often stretched the arrangement of the track or repeated some parts of it. As for the instruments, it's usually the rhythm section that i start with (together with a carrying element in melody/groove of the track). 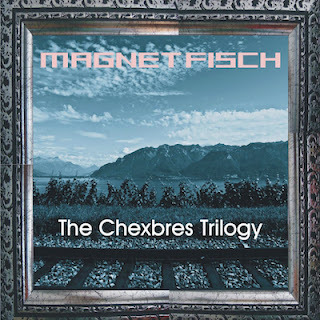 Theres drums, synths and effects that i added to the Magnetfisch sounds. When finished i sent the track to Cat and she did her part on it - writing lyrics and singing them along the track her way, which usually surprises me when i first hear the vocals on the track - she manages to give the track a new twist i had never thought about. In "Le royaume de Chexbres" the lyrics center around wine and vineyards - Chexbres, together with other villages of that region on Lac Leman, Switzerland is well known for viniculture. In the second track "Contre la crise" (March 2012) music is the best means against the crisis - put on your headphones, turn up the volume to 1000 decibels and block out everything. The track is quite fast tempo so i chose a dirty breakbeat to keep up with it, and made sure the whole thing sounded a) good mood and b) a bit punky too. There was always a break after the remixes we did for this EP remix project, no one had set us a deadline. In between we were always working on other projects, tracks, collabs. And we did more than the tracks on the original EP - the first bonus track was the third remix we did in this project, called "Fruchtkönig V1" the original is one of the early tunes from Magnetfisch, it's on the EP "The Early Years 1998-2000". Really love that track, especially the guitar on it, so i asked Timo if he could provide me the track layers to that one too. He did, and so did we, the remix was done in June 2012. Cat picked the words wisely - the lyrics are about the forbidden fruits, the power of knowlege. Fruchtkönig is a German word play, = 'fruit king', instead of Froschkönig, the famous fairy tale about the 'frog king' which is known as Frog Prince in English. In July 2012 we finished the third track of the original EP, "Scheebr Garten", the secret garden where you can grow without fear of being trampled on, as Cat puts it. I tried to make the track sound a little dirty but with lovely mood - found the high synth line goes perfect together with Cats voice and I treated Paddy's guitar with more fx in the heights to get a better connection to that high synth. After that was a longer break until we did "Slurmz" (November 2012), the fourth track from the EP, but not the last for the remix project, as i had another one in mind that i wanted to do as a second bonus track. As usual i went with the original beat frame, extending it to a nice breakbeat with some kind of a disco feeling to it, and added some funky synths. A party in space. Cat joined this with her lyrics again. And how she had sung her refrain changed the sound character of that part in a bluesy way that was just perfect. you would never guess if you heard the instrumental only track. Timo had heard it, and he really loved this tweak too. 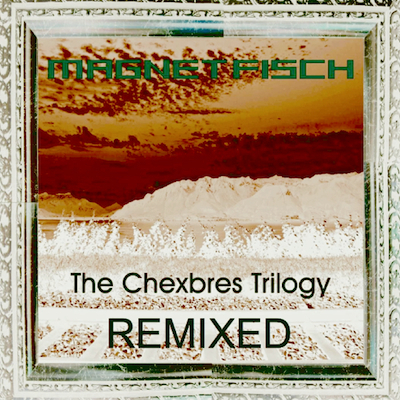 The Remix EP has been released by Magnetfisch 25.9.2013 on bandcamp, follow the link below! On 23.1.2014 it was also released on itunes, junodownload and lots of stores all around the net. The tracks also play on Magnetfisch's pages on the internet, like the one on US based IACmusic (now Indiemusicpeole) or on CH based mx3. Of course they are all on my soundcloud page too, that's to where i put the links below.